Texas Litigation Attorneys - Oberheiden, P.C. What is a Rule 202 in Texas Litigation? The Law. One often-overlooked procedural tool in a Texas attorney’s toolbox is a pre-suit deposition under Rule 202 of the Texas Rules of Civil Procedure. That rule provides: “A person may petition the court for an order authorizing the taking of a deposition on oral examination or written questions either: (a) to perpetuate or obtain the person’s own testimony or that of any other person for use in an anticipated suit; or (b) to investigate a potential claim or suit.” Subtype (a) is less common: it allows you to ask the court to permit the deposition of a witness for a suit that you know will be filed, but for which the witness may no longer be able to testify due to health, absence from the jurisdiction, or any other reason. Claims Investigation. More commonly, lawyers petition for a subtype (b) deposition. In this type of petition, you are telling the court that you need to investigate whether or not a lawsuit should be filed. Most often, but not always, the person you seek to depose is the potential defendant in that possible lawsuit. You may not be sure whether or not the person you seek to depose is the person who has caused you harm, or you may not be sure that they have undertaken the actions you believe they have. Simply put, you may not have enough facts to put together a petition and state a claim against your potential defendant. Example. For example, these types of depositions might be used in a situation where you believe a former employee is violating a non-competition agreement. You may not be sure of the business of the employee’s new employer, or you may not know whether the employee is using your confidential information in his new job. A Rule 202 petition can allow you to make these determinations before deciding whether you need to file a full-blown lawsuit. Form and Procedure. A Rule 202 petition takes the same form as any other petition, with some particular rules: it must be verified with a person of knowledge of the facts therein; it must be filed in the county where the suit is anticipated or where the witness resides; and it must include detailed information about the deponent and, if suit is anticipated, about the potential opposing party. It must be served on the potential deponent and any potential adverse parties at least 15 days prior to the hearing on the petition. Court Standards. If the court finds that either “(1) allowing the petitioner to take the requested deposition may prevent a failure or delay of justice in an anticipated suit; or (2) the likely benefit of allowing the petitioner to take the requested deposition to investigate a potential claim outweighs the burden or expense of the procedure,” Tex. R. Civ. P. 202.4(a), the Court will grant the petition and order the deposition be taken. Note that evidence must be presented at the hearing to convince the Court of the propriety of the requested deposition. In re Noriega, No. 05-14-00307-CV, 2014 Tex. App. LEXIS 3462 (Tex. App.—Dallas Mar. 28, 2014, orig. proceeding). Rule 202 depositions are not to be used routinely, and courts will carefully limit and supervise such pre-suit discovery to avoid any abuse of the process. In re Wolfe, 341 S.W.3d 932, 933 (Tex. 2011) (orig. proceeding); In re Jorden, 249 S.W.3d 416, 423 (Tex. 2008) (orig. proceeding). We are a team of former prosecutors, Department of Justice trial attorneys, and experienced litigators that represent clients in litigation matters involving business disputes, healthcare litigation, non-compete issues, securities, partnership and shareholder disputes, breach of contract, and employer interests in courts across the nation. Clients interested in learning more about our civil litigation practice should contact one of our attorneys directly to find out how we can assist with our litigation skills and experience. The attorneys of Oberheiden, P.C. offer profound and distinct litigation expertise. Many of our attorneys formerly served the United States as federal prosecutors and held leading positions within the Department of Justice— and now offer proven litigation strategies and impeccable courtroom skills to our clients across the United States. 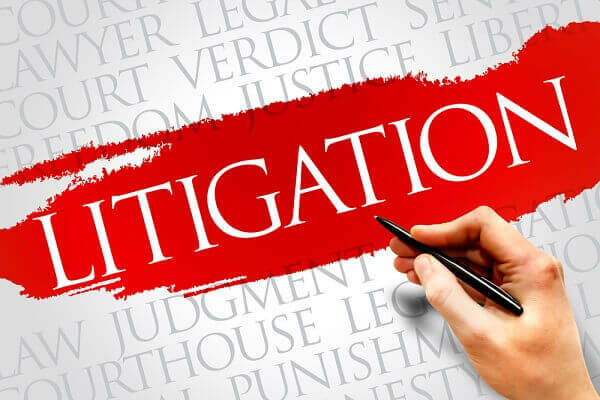 If you have questions about the litigation process or specifically about depositions, you should contact Dr. Nick Oberheiden for a free and confidential assessment.